Not coming from a place that has town plazas, I’m interested to explore all the ones around us. 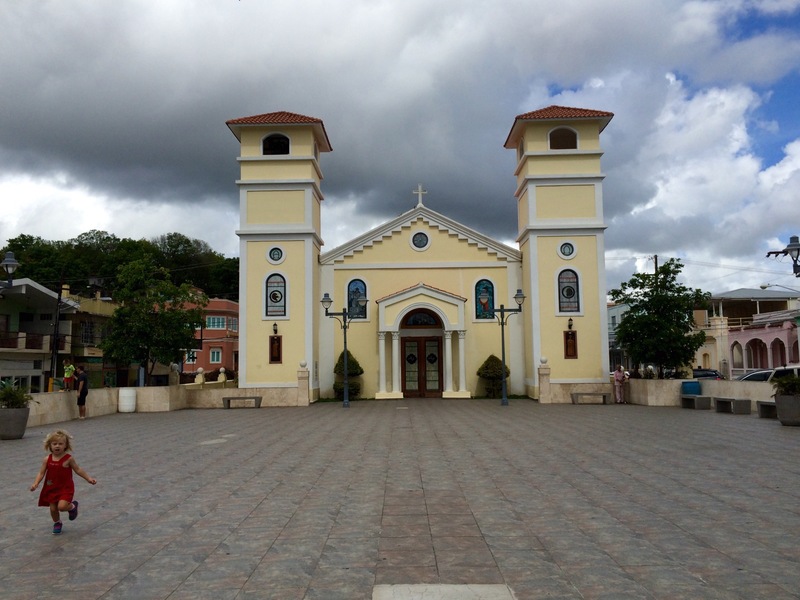 But I’ve learned that not all plazas are as interesting as the rest. 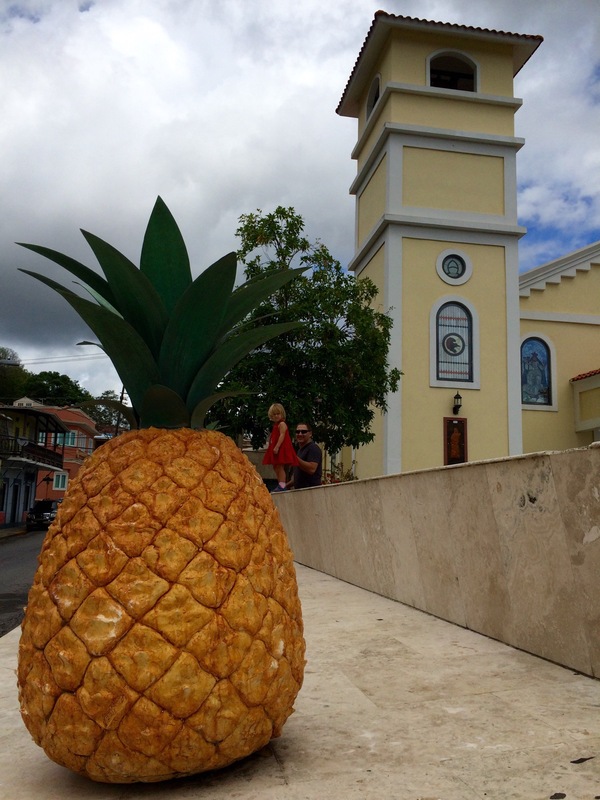 Lajas is a nearby little town with a plaza that is small, but it has a obelisk and PINEAPPLES!! Love it. The rest of the plaza is pretty, blah. It’s near to the Ruta Extraterestrial. 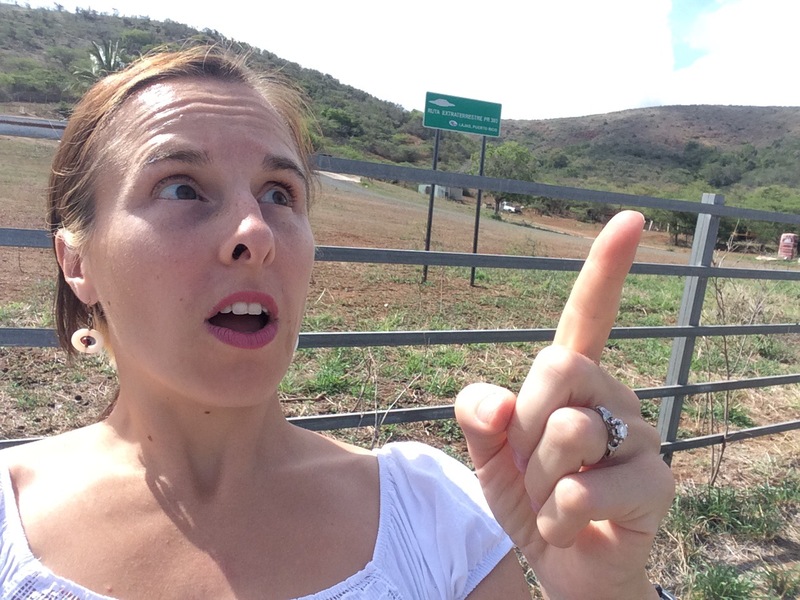 On route 303 just inside the Lajas boarderline. 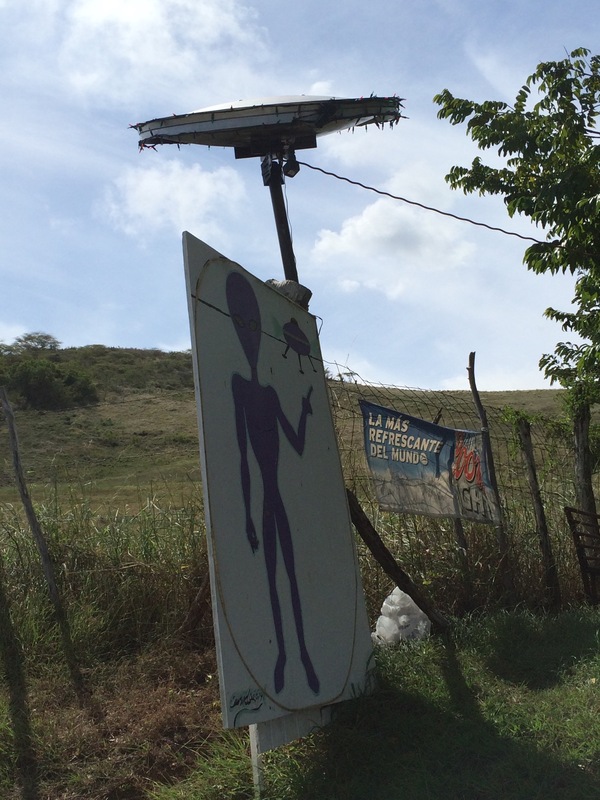 There is a UFO themed restaurant/bar there too. But alas, we didn’t see any UFO sightings. We were lucky enough to field alien, space, and UFO questions from our almost 5 year old for a good 30 minutes. 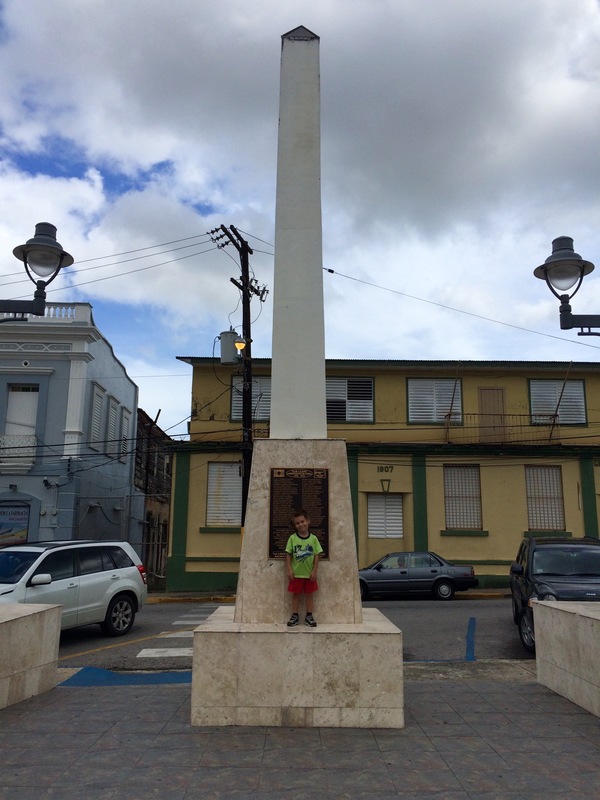 This entry was posted in Uncategorized and tagged aliens, lajas, Puerto Rico, ruta extraterrestrial. Bookmark the permalink. So funny! 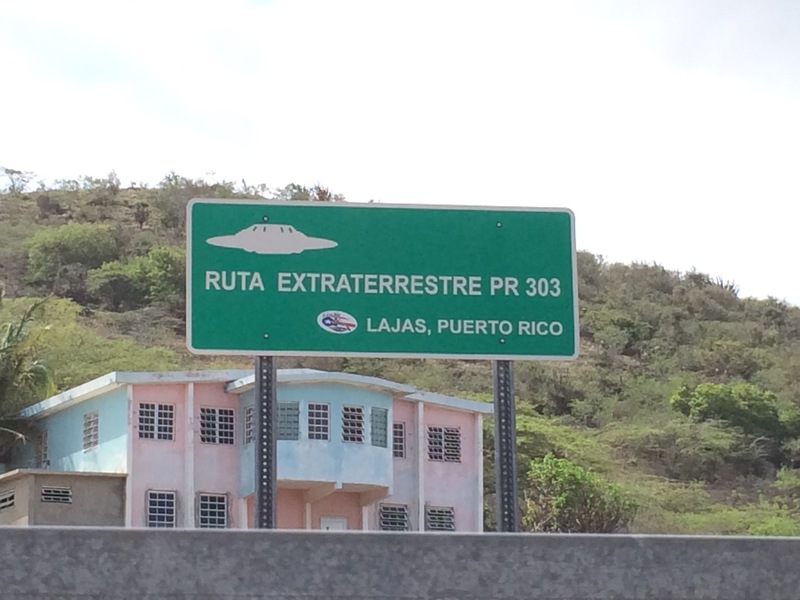 Just the other day the husband was watching scifi channel or something like that and there was a show/series about UFO’s and sure enough they mentioned Lajas and then the husband proceeded to excitedly talk about all the sightings there. Lol!